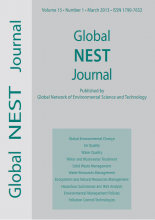 The purpose of this paper is to offer an initial presentation and classification of the methodological approaches used to analyzing energy demand, related CO2 emissions and economic development for countries, regions and subsequently to provide for an extended survey of related articles for the case-study of Greece that identified 48 scientific publications. It was found that all three main existent methodological analytical schemes, namely ‘Top-down’ models, Econometric methods and Decomposition Analysis methods, have been applied to model energy, environmental and macro-economic variables for Greece. Specific application areas included sectoral (industrial, transport, tourism, manufacturing, residential and electricity) energy demand and related CO2 emissions, energy prices and energy taxation. The paper culminates to a comprehensive comparison of employed methods and obtained results for Greece and conclusions. In this paper we propose a framework for energy audit and renewable energy utilization for a Mediterranean fish hatchery station. A concise literature review concerning the use of renewables in aquaculture is provided, followed by a step by step framework for energy audit in aquaculture stations. The developed framework is subsequently applied to a real case study concerning an aquaculture unit in Greece. A combined PV and Solar-Thermal panel project is proposed, based on the energy audit results. The well-known clean energy software RETScreen, developed by Natural Resources of Canada, has been utilized as an assessment tool of the proposed project. It was found that that the proposed project could not fully cover the electric and thermal load of the station; nevertheless, the project is economically viable and could de realized, provided that the necessary financial resources become available to the entrepreneurs. In this study, the effects of seepage flow in the swash zone on beach profile evolution under the wave action are examined numerically. The seepage flow is induced artificially by a porous drain pipe buried beneath swash zone parallel to the coastline. The system includes minimal environmental impact compared with the hard protection methods. A higher order Boussinesq model for breaking and non-breaking waves is extended in the swash zone and is coupled with a porous flow model, in order to take into account the influence of infiltration-exfiltration processes in the sediment transport. This influence is introduced in a simple and well-proven sediment transport formula by using a new modified Shields parameter, which is derived after the modification of the shear stress and the immerged sediment weight. In order to incorporate the suspended sediment transport rate, the depth-integrated transport equation for suspended sediment is solved. Model results are compared with experimental data. The agreement between numerical simulations and experiment is quite satisfactory. It is concluded that the beach drainage method is efficient for shore protection from erosion. In order to design a network of drainage canals, it is essential to consider the excess water from the agricultural land (overland flow) and to evaluate the characteristics of flow routing, such as the flow depths and discharges in the system of tertiary and main drainage canals of various order. In this paper models based on the Saint-Venant equations are presented, simulating the flow routing in a system of drainage canals. In these models, the lateral inflow towards tertiary drainage canals is the overland flow from adjacent fields. The Saint-Venant equations in their complete form (dynamic model) or in simplified forms, such as the diffusion wave equations (diffusion model) and the kinematic wave equations (kinematic model) are numerically solved by using the MacCormack explicit computational scheme which is a two-step predictor-corrector scheme, conditionally stable and convergent. In modeling flow through the system of drainage canals, emphasis was given to the simulation of flow at the junction points of two or more canals by applying the characteristic equations (negative and positive equations) in addition to the mass and energy conservation principles. Applications of the models for the simulation of flow within the system of drainage canals, subject to lateral inflow owing to overland flow, were also conducted in order to study the effect of various parameters of the drainage canals, on the hydrographs’ formation and also on the accuracy of the diffusion and kinematic equations in predicting flow in a drainage network. Urban stormwater runoff constitutes a non-point source pollution, which contributes in degradation of water bodies’ quality (USEPA, 2002). European Union’s environmental policy includes water environment protection and preservation by adopting a series of directives, 2000/60/EC (Water Framework Directive - WFD), 97/11/EEC (Environmental Impact Assessment Directive - EIA), 2001/42/EC (Strategic Environmental Assessment Directive - SEAD) and many others. However, such legislative framework is not strongly related to the issue of urban stormwater runoff management, due to its general content. Pollution control of urban stormwater runoff entails a management strategy based on scientific research and reliable available data. Consequently, the subject of prevention and control of urban stormwater runoff remains still open and it is a motivation for further research and discussion; it also underlines the need to propose detailed specifications both for environmental impact assessment, as well as for the proper formation of a data-base. Thus, within the content of the present paper, the following are included: a) the investigation and presentation of the receiving waters pollution issues from the urban stormwater runoff, b) the examination of the respective pollutant generation and characteristics, c) the presentation of their impacts d) the examination of the measures (structural and non-structural BMPs) f) the presentation of the existing legislation in the EU and Greece. Finally, specific measures, which authorities must take into account in the framework of the programs for runoff river basin management, according to the 2000/60 EC Directive and the Greek Law 3199/2003, are proposed. The present paper reviews the wastewater reuse regulations, practices and applications of countries around the Mediterranean Region, particularly focusing on reuse practices for municipal and industrial uses. Water scarcity and water need is established in Mediterranean countries using international indexes for a cross-border comparison of water availability specifically for fresh water supply for municipal and industrial applications. Wastewater reuse criteria based on necessary, application specific, treatment output quality are presented. Data for each individual country is reviewed, and the regulations governing each country around reuse and applications are summarized, focusing, when appropriate, on the production and use of reclaimed wastewater for municipal and industrial applications. Also a critical overview of the guidelines and regulations governing these countries is presented. After considering multiple parameters associated with adoption of municipal and industrial wastewater reuse, such as water supply and scarcity, country and regional parameters, as well as possible applications, we note that adoption is accelerated in countries that have stronger economies and higher water needs. This development is fueled by favorable guidelines and regulations; conversely it is hindered by prohibitive guidelines and regulations. Wastewater reuse for municipal and industrial applications so far remains a whimsical game of culture, perception, religion, available technology and politics. An increasing trend in wastewater treatment plant construction and planning is seen in almost all the countries of the Mediterranean region. In addition, reuse water standards are in the process of being developed in a way that will clearly take into account the local conditions while reasonably safeguarding the public health. Wastewater reuse for municipal and industrial applications in Mediterranean countries remains at the beginning stages of adoption and the potential for improvement is open. In this study, the development of a numerical model simulating surface drip irrigation from equidistant line sources in stratified soils under various conditions is being presented. The developed numerical model was used to investigate the effects of hysteresis, discharge rate, and soil hydraulic properties on soil water dynamics in stratified soils under surface trickle irrigation. Soil water dynamics were simulated for two sequences of soil layers and for two drip lines discharge rates. Soil water distribution patterns, for all conditions examined, were computed first neglecting hysteresis by using the boundary wetting curve only and second considering hysteresis to evaluate the effect of hysteresis on the obtained results. The numerical results showed that hysteresis has a profound effect on the computed soil water distribution patterns and that the draining process progresses more quickly when hysteresis is neglected than when hysteresis is considered. The inclusion of hysteresis results in reduced water losses under the root zone. Moreover, this reduction seems to be more significant in the case that a fine soil is located below a coarse soil. The results also showed that the irrigation efficiency is higher in the same case; however, irrigation efficiency is generally high in all the examined cases of stratified soils. In Tunisian semi-arid regions, where water is a rare commodity and the large dams cannot be justified considering the very limited water contributions and the very high evapotranspiration, innovative techniques of harvesting water have been adopted. Tunisia has initiated a policy of small dam construction aiming to combine land and water management with socioeconomic development. They also target erosion control and protection of downstream infrastructure. Integrated rural development is achieved through the provision of a scarce but vital renewable resource. Using the results of multi-disciplinary research carried out in a network of 25 hill lakes implemented in a semi-arid area, the present article shows the role of small dams in the mobilization and management of water and soil resources. The issues involved in integrated development around hill reservoirs are closely linked to the sustainability of water. The agricultural development must be adapted to the life expectancy of the dam and the availability of water in dry periods. The recharge of the groundwater in the aquifers improves the potential for development. However, the impact of the stored water on health must be studied. The environmental impact of the lake structures is linked to the quality of the water and the maintenance of its supply. Renewable water resources in Saudi Arabia are limited with groundwater as the major source for water supply. This study was conducted to assess the quality of groundwater in Almadinah Almunawarah, Saudi Arabia. Water samples were collected from 60 wells in 2010. Physical and chemical parameters were examined. The results of colour, turbidity, odour, pH, and nitrite in all samples were below the local water guideline values. The fluoride concentrations in 8% of the samples were higher than the guideline value. The taste in 87% of the samples was unacceptable. Intolerable levels of both total hardness and TDS were found in most of the samples (~ 83%). Nitrate levels were above the guideline value in 65% of sample. Most of the samples (80–87%) have failed the guidelines for sodium, chloride, and sulphate. On the other hand, none of the samples was found to contain Cr, Ni, Cu, Zn, Cd, Ba, and Pb exceeding the guideline values. However, 5% of the samples have arsenic concentrations over the limit (results 12.0–29.0 µg L-1). Similarly, 5% of the samples have iron concentrations (320–589 µg L-1) in excess of the guideline value. The level of manganese in only one sample (183 µg L-1) was greater than the guideline value and 10% of the samples have magnesium (range 159000–210000 µg L-1) above the limit. Although the water of the investigated wells does not satisfy many of the general drinking water guidelines due to the local environment and climate, most of the samples are in compliance with the guideline values for metals in drinking and irrigation water.